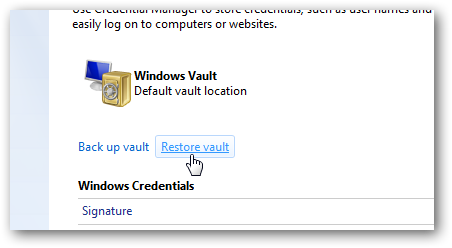 Previously we wrote how to backup Windows Vault™s automatic logon credentials in Windows 7; in this article, we will write how to restore the backup. It is practically very easy to restore from the backup. It is just the reverse process and very easy to follow the on screen instructions to complete the process. This Article Has Been Shared 6254 Times! Change the explorer navigation button in Windows 7 of your choice. Just follow these steps line by line, you can yourself change the navigation button. This is the best all in one free Customization Software I have seen. If you have this killer software, there is no need to use separate programs for changing logon Screen, logon button, Start orb and all icons; including system icons, disk icons, program association icons etc. Learn the basic how to operate and work on Windows 7 PC. Windows 7 guide for the dummies. Fonts can be installed as Shortcut in Windows 7; here is a tutorial on how to do it. Cite this article as: Abhishek Ghosh, "Restore Windows Vaultâ€™s automatic logon credentials in Windows 7," in The Customize Windows, April 22, 2011, April 21, 2019, https://thecustomizewindows.com/2011/04/restore-windows-vaults-automatic-logon-credentials-in-windows-7/.